Hello there and thank you for stopping by today. Today is the second day of the MFT November Release Countdown. Only 4 days until the new release (yay)! Be sure to head over to the MFT Blog for full set and die reveals for the day. This release is packed full of gorgeous new products that I have SO enjoyed creating with. My first card today features the new Polar Bear Pals stamp set and Die-namics. I just adore the sweet bears in the set and the sentiments are super cute, too. I used the Horizontal Snow Drifts Cover-Up to piece in three of the pieces for water. The bear is perched on an Iceberg Die-namics. I airbrushed the background with light gray and colored the bear with Prismacolor Pencils. These products and many more will be available for purchase in just 4 days, on November 1 at 10 PM EST. Be sure to check out the MFT Blog to see what the rest of the team has come up with today. Love how you used the horizontal drifts. Really sets off the design perfectly. 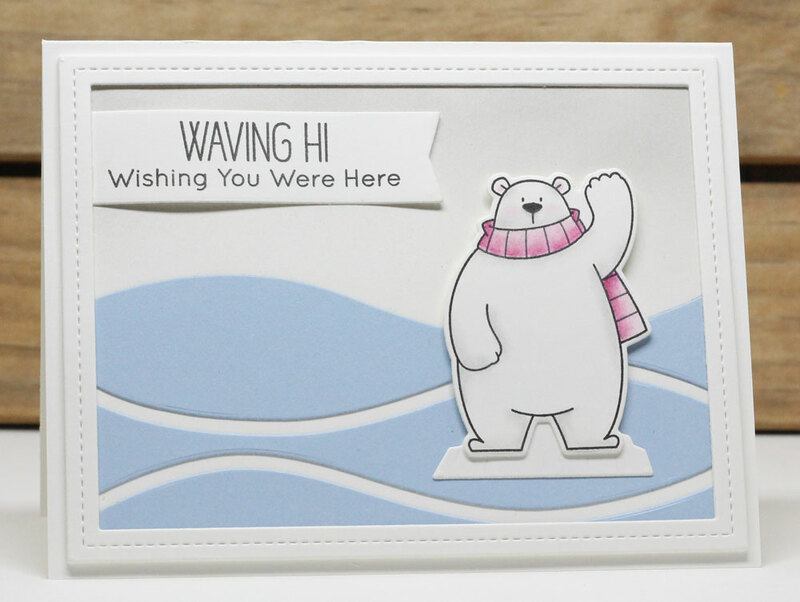 Simply awesome card that shows the polar bears habitat! Wishing you were here, is so cute! I really like the snow drift as part of the background. Awesome card. Really want that snow drift die. Thank you for sharing.